A CDN or Content Delivery Network is a network of servers distributed in different locations that store the content of your website in order to reduce the loading time. For example, if your e-commerce is hosted in Europe but you have Asian customers, it is a good idea to serve your content faster to your users in China. So to avoid that the request of your product images does not come and go from China to Europe, you can count on a CDN service that stores and serves that content from Asia. The providers that offer this service have or have datacenters in different geographical locations, in order to provide a good service. If your users are from different geographic locations (beyond your country), it is interesting that you value this option. Especially if your online business is an e-commerce or you are interested in expanding to new markets. Serve static resources faster: product images, your landing page, icons or logos. In this way you also release the server that hosts your website page to make more interesting operations such as processing purchases. Cache dynamic resources, such as static versions of pages that you serve dynamically. Before DDoS attacks a CDN can help to stop the blow, but always as a complement to a WAF. Never as a single protection solution. What do I have to do to use the WeSecur CDN? If you already have the website protection plan Plus or Premium, you already have included by default the CDN service. 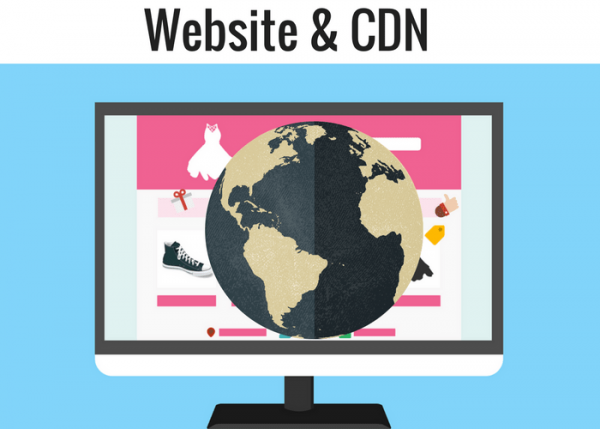 By configuring the data of your website you will use our CDN. If not, you just have to buy one of the two plans.